Other People’s Houses provides the clearest explanation yet of how the Financial Crisis of 2008 developed and why it could happen again. "A must-read for anyone seeking to understand the causes of the last financial crisis and why we may very well be heading towards another." 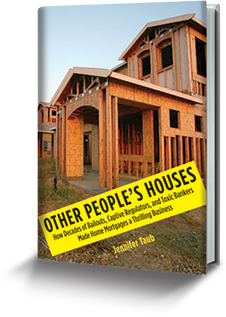 "By unearthing the personal stories of homeowners, bankers, and regulators, Jennifer Taub shows that our recent financial crisis was no accident"
"This is first-rate financial history." "Taub exposes three decades of predatory lenders, greedy investors, and lax regulators, with a much-needed focus on the dire consequences of preventing bankruptcy judges from restructuring mortgage debt." "A page-turner that reads like a Michael Lewis financial thriller, this bracing account of the roots of financial crises debunks stubborn myths with insight that would make Louis Brandeis proud." "Taub argues persuasively how the seeds for the 2008 financial crisis were sown back in the 1980s as deregulation paved the way for the S&L debacle. But that was only an appetiser for even greater calamity later." 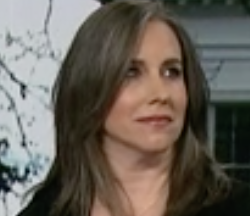 "Meticulously argued and guaranteed to raise the blood pressure of the average American taxpayer." "Over the years I’ve read a tall stack of books about the financial crisis. Other People’s Houses, by Vermont Law School professor Jennifer Taub, provides the clearest, beginning-to-end explanation I’ve seen of what went wrong." "Provides a concise, clear, and compelling account." "Taub's cogently written, accusatory work will interest a wide readership." "Highly recommended. . .Taub does an excellent job retelling and reframing a reasonably well-known story to make it fresh and interesting, and makes a strong case tying the 2008 crisis to the 1980s deregulation." "Brilliant account of the housing crisis and its lingering impact." "A compelling narrative that keeps the reader's attention from cover to cover . . .It is a must read for anyone interested in understanding and reforming our broken financial system."